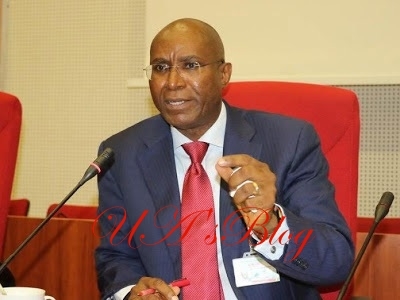 The Court of Appeal sitting in Benin, Edo State, has struck out appeals by Senator Ovie Omo-Agege and Rev. Francis Waive, seeking the leave of court to challenge the judgement of the Federal High Court, Asaba, which nullified their elections. The court, in its ruling on Friday, dismissed the two applications for lacking merit. Senator Omo-Agege and Rev. Waive emerged as the candidates of the APC in the 2019 general elections from the Prophet Jones Erue-led faction of the Delta State chapter of the All Progressives Congress, which the Asaba Federal High Court had sacked as chairman. Justice Toyin Adegoke had, in the ruling in the case filed by the factional chairman of APC in Delta, Cyril Ogodo, in suit number FA/ASA/CS/76/2018 declared as null, void and of no effect any and every action purportedly taken, initiated or carried out by the fourth defendant, Jones Erue, as chairman of APC (first defendant). The court declared the plaintiff, Ogodo, as the authentic chairman of the main opposition party in the state. However, in the Friday ruling, the Appeal Court dismissed their applications for lack of merit and awarded a fine N300,000 each against the applicants.